DuraTherm® is a specially-designed preformed thermoplastic material that is inlaid into imprinted asphalt and heated in place using specialized infrared heaters. Engineered to lie slightly below the asphalt surface, DuraTherm® is protected from wear, ensuring effective service life while maintaining its attractive look. A specialized pavement heater softens the existing asphalt. Templates are pressed into the surface to create the imprinted pattern. Pre-cut sections of DuraTherm® are set into these impressions. 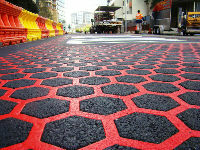 The specialized heater is used again to bond the material to the asphalt surface. DuraTherms® design flexible and durable thermoplastic system is cost effective and easy to maintain. It is famous for its ability to allow community branding elements into streetscapes and urban redevelopment projects; creating highly visible pavements. 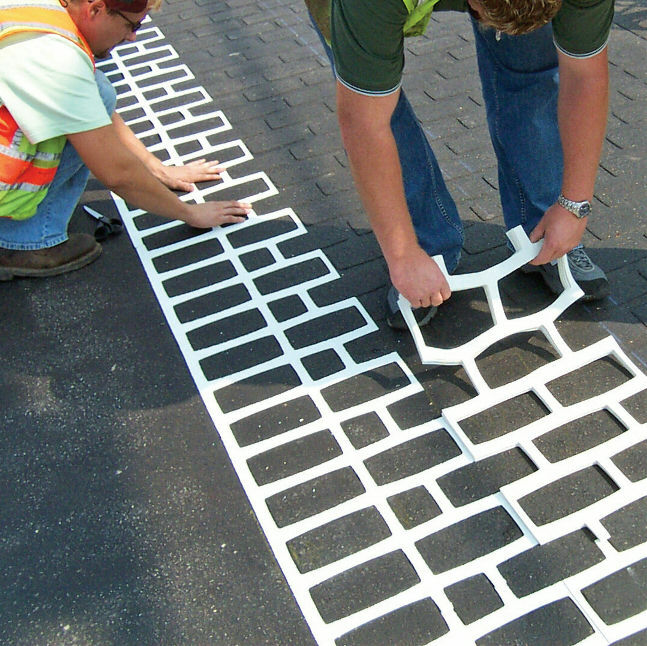 DuraTherm™ is also ideal for pedestrian channelization and crosswalks.